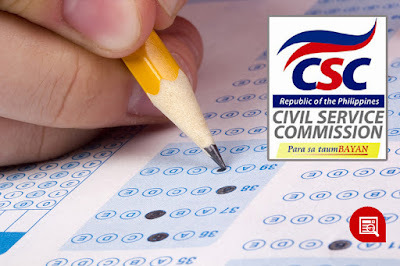 March 2019 Civil Service Exam CSE-PPT Results || List of Passers - Exam News, Reviewer, Military Career, & Everything [MN] . . The Civil Service Commission (CSC) will release soon the official results of the March 17, 2019 Career Service Examination – Paper and Pencil Test for both Professional and sub-professional levels conducted nationwide at selected testing centers. The list of passers will be posted here by region once available online from CSC. As announced by CSC during the examination, the results will be released 60 calendar days after the exam date. With this, the official results can be expected within mid of May 2019. Professional eligibility is needed for appointment to second level (technical) positions in the government, requiring at least a bachelor’s degree for education. The SubProfessional eligibility is applicable to the first level (clerical) government positions that require less than four years of college studies. The Professional eligibility may also be used for clerical positions. Both eligibilities, though, cannot be used for positions involving the practice of a profession and those covered by special laws. Apart from civil service eligibility and education, CSC clarified that the new eligible applicants must also meet the other basic requirements of experience and training for permanent appointment to a government career service position. Moreover, applicants to government posts may undergo an internal screening process by the agency’s Personnel Selection Board, which may be composed of written tests, interviews, and other processes to determine the most qualified candidate for a vacant position. To receive more reliable updates about March 17, 2019 Civil Service Exam Results, we encourage you to bookmark this page and don't forget to Like Us on Facebook or follow us on Twitter.